The new year is here and it’s a great time to make a clean start in some different areas of your life. For some that could mean starting a new nutrition program, cutting out the sugars and adding more fruits and veggies. Maybe you’re going to bump up your exercise program, adding some weights or reps to your lifting routine or some minutes to your morning run. It might mean going through your home and cleaning out all those trinkets that are sitting around your house gathering dust. It feels so good to walk into your home at the end of a long day of work and relax in your clean house! But to really have a deep clean, you need to hit your fireplace and chimney as well. That means calling in the professionals at Jiminy Chimney Masonry and Repair]. We’ll clean your chimney and inspect it while we’re at it, so you can know that your home really is clean and ready for you to spend some comfort time, relaxing in front of a safe and efficient fire. You may be wondering why it’s a big deal to have your chimney cleaned. 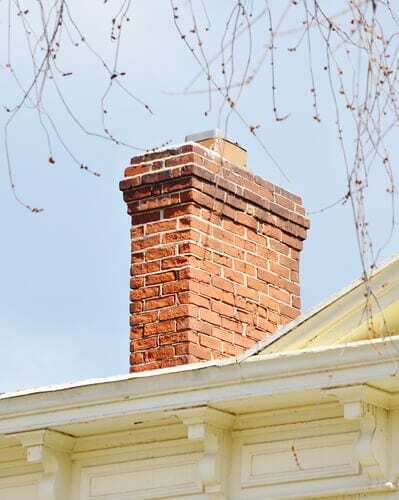 One reason is that a dirty chimney can be a smelly chimney. When you burn wood in your fireplace, the moisture and chemicals released are carried up and out of your home through the chimney. Some, however, condenses in your chimney, forming creosote. Creosote is a highly flammable substance that is hard to remove, which is why it’s so important to hire the right crew to get the job done correctly. We have the latest in tools and in training methods to ensure that all the creosote is cleared out. Not only does this get rid of a fire hazard, but also of a source of the odor, as creosote also emits a strong, stale, smoky odor. Not only will we clean your chimney, but we’ll also look for any damage that may be present in your fireplace and chimney. Finding needed repair work and fixing things when they are minor repair jobs now will save you from the time and money necessary to do more extensive, expensive repair work later on. That’s another reason it’s important to give us a call now rather than waiting until next summer to get your chimney inspected and cleaned. Why Call Jiminy Chimney Masonry and Repair? When you’re looking to hire a chimney sweep company, there are some things to look at to determine which company is best. One indication is how many years that company has been in service. Jiminy Chimney Masonry and Repair has been a respected part of the Chicago area business community for over 30 years and we’ve built trust with our outstanding staff and service. Give us a call today and allow us to give you that same outstanding service soon!